CONICET scientists collaborate with Spanish researchers to analyze the effects of the action of men on the diversity of these coleopteran species in Bosque Atlántico of Alto Paraná. Silvopastoral environment, pine plantation with livestock. Photo: courtesy researcher. Dung beetles, whose distinguished characteristic is to feed partially or exclusively on the excrement of medium and large mammals, play key ecological roles in the environment of the forest of Misiones. Some of those roles are the removal and burial of organic material, secondary dispersion of seeds, recycling of nutrients in the soil and plagues control. This species is particularly important for livestock farming as they bury the cattle feces, what helps to maintain the quality and productivity of the soil. That’s why it is necessary to design conservation policies to preserve them from potential damages of human interventions on the ecosystem. The journal Biodiversity and Conservation published a recent study conducted by Victoria Giménez Gómez, CONICET doctoral fellow at the Instituto de Biología Subtropical (IBS, CONICET-UNAM). She analyses the effects of land uses of the land on the diversity of dung beetles and compares it to what happens in native forests. “For this study, we analyzed in each place the loss or presence of canopy cover –trees- considering if it was about native or exotic vegetation and the presence or absence of livestock, basically cows,” Giménez describes. 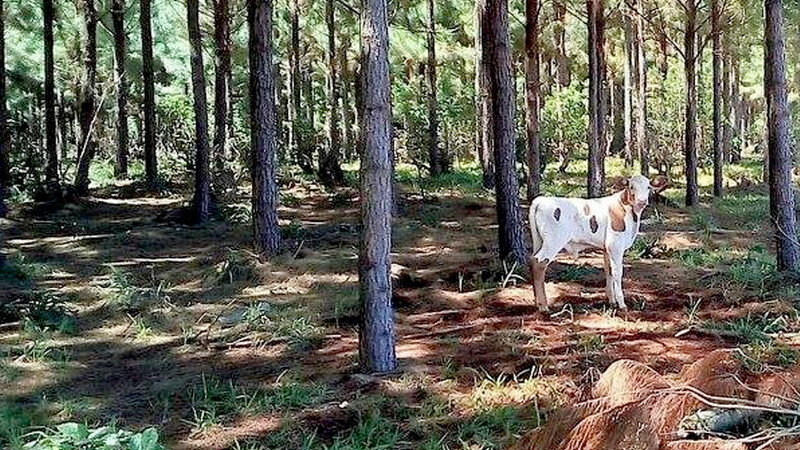 The research distinguished five different environments: 1) native forests; 2) pine forest plantations (which constitutes exotic vegetation), 3) silvopastoral systems (pines with livestock), 4) landscaped (native forest with livestock) and 5) pastures with livestock. “The results proved that what affects most the diversity of dung beetles is the loss of canopy, that is to say, the loss of trees, whether native or exotic. This happens because these species are very sensitive to environmental changes and the cutting of trees increases radiation .so the temperature rises and the humidity falls. As regards what takes place with native and exotic vegetation, we did not find great differences”. Giménez affirms. As these beetles make their nests in the ground, the species that are most affected by these environmental changes are those that nest in a more superficial way because the larvae does not survive. “According to our data, the second factor that most affects dung beetles is the presence of cattle. Although these animals feed primarily on mammalian manure, they prefer that of omnivores over that of herbivores”, comments the biologist. For Giménez, there has been an increase in the disturbance of the environment in recent years, and the diversity of dung beetles has decreased along with their key roles they play. One the researchers’ biggest concerns is the expansion of pastures, which are the simplest environments to manage but the most harmful for the conservation of biodiversity. “Beyond the diagnosis, our aim is to provide management recommendations to avoid the loss of species important for the ecosystem. In this sense, we think it is necessary to limit the loss of canopy cover and reduce the livestock density”, Giménez concludes.